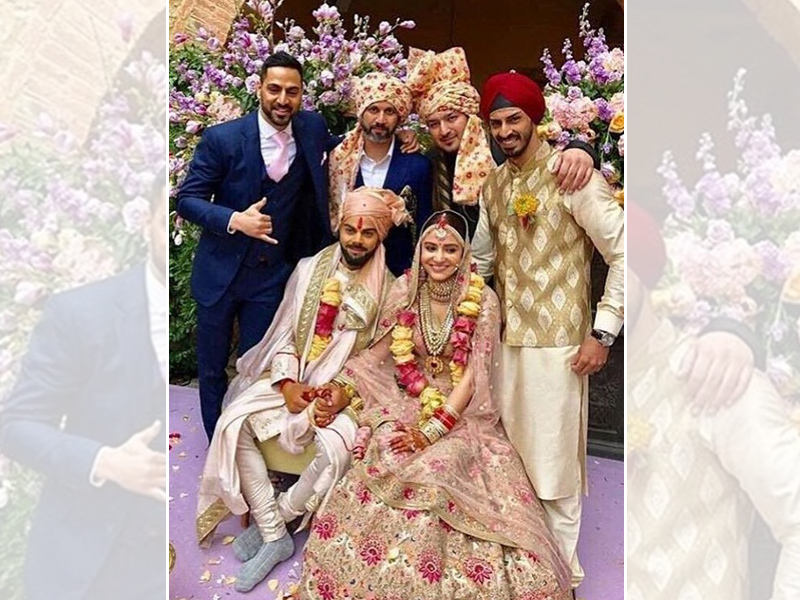 Indian cricket caption Virat Kohli and Bollywood actress Anushka Sharma got married in an intimate ceremony on December 11th 2017 at a country side resort, Borgo Finocchieto in Tuscany, Italy. The wedding was a simple affair with family and close friends, and the lovely couple got married in a traditional Hindu ceremony. The celebrations started with a traditional mehendi and haldi ceremony. For the mehendi, Anushka Sharma looked beautiful in a bright orange and a fuchsia pink graphic lehenga designed by Sabyasachi Mukherji. The outfit was handprinted by Calcutta block printers and hand-embroidered with gota and marori. 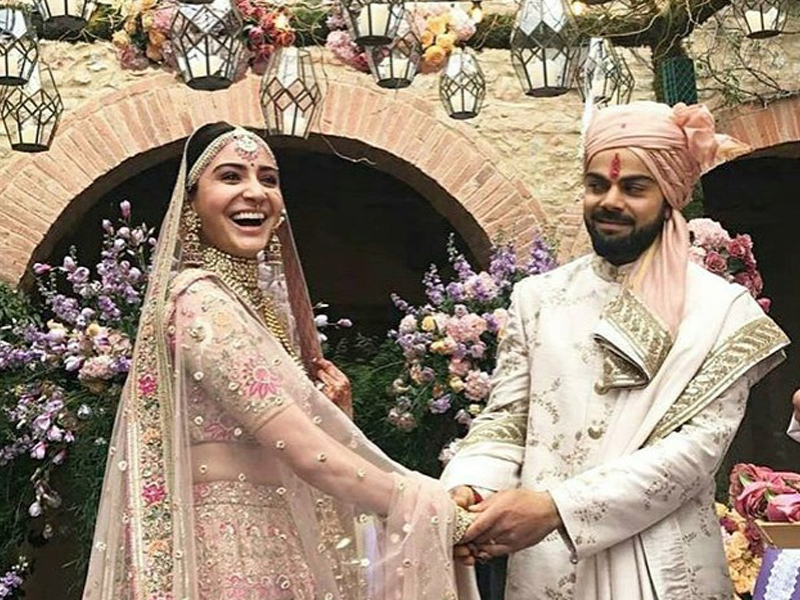 While Virat wore a Sabyasachi khadi kurta churidar with a fuschia Nehru jacket. For the wedding, both the bride and the groom were dressed in custom made outfits designed by Sabyasachi Mukherji. Anushka Sharma looked breathtaking in a pale pink lehenga with a silver and gold metal thread, pearls and bead embroidery. 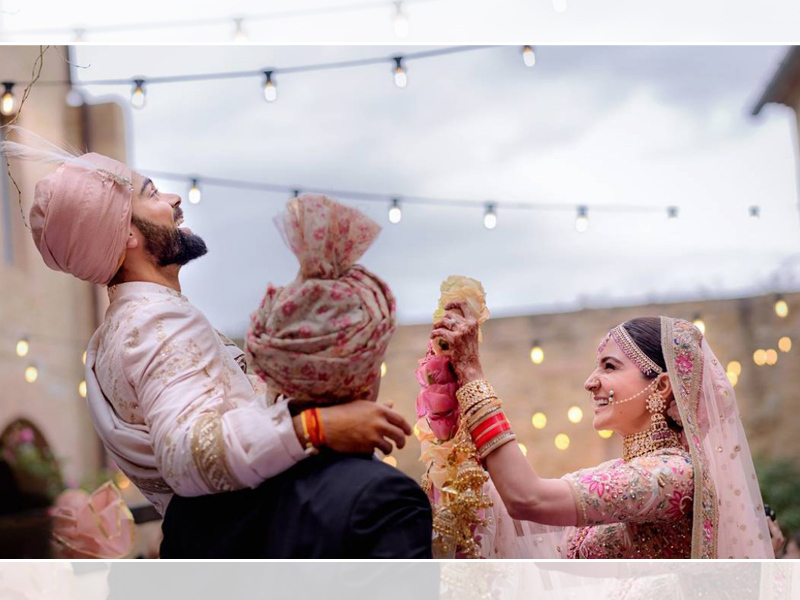 Anushka paired the beautiful attire with an uncut diamond choker with pale-pink spinel stones and Japanese cultured pearls. 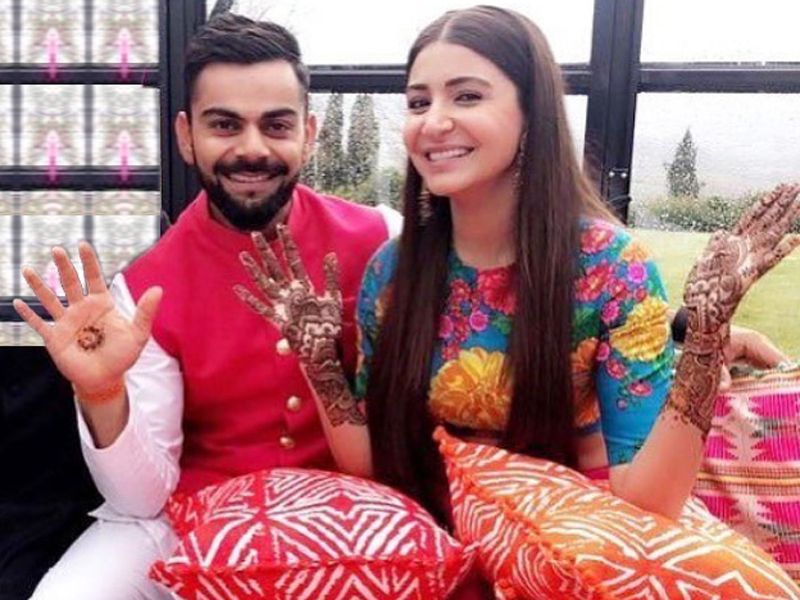 On the other hand, Virat wore a pale-pink raw-silk sherwani, which was hand-embroidered with Benarasi pattern. The newlywed couple will be hosting a grand reception for relatives in New Delhi on December 21st followed by another reception for friends in Mumbai on December 26th 2017.